Long time resident, Maria Guerrero Anderson ‘Nana’ passed away on Saturday September 1, 2018. She was 86. Born in Guam on November 1, 1931 she moved to the United States after the war to complete high school, graduating from Fordyce High School in Arkansas. She then married James E. Oglesby and together they had 3 children. She moved to Napa in 1970 and married Gilbert V. Anderson in 1988. 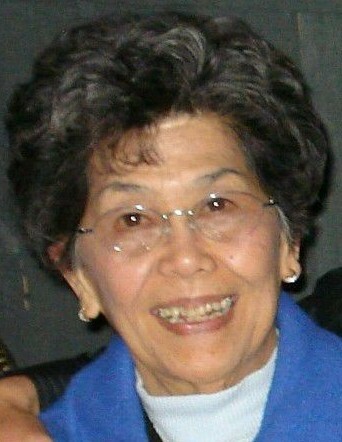 She worked for Bank of America and after retirement volunteered at Queen of the Valley Hospital. She and Gilbert enjoyed many years of extensive travels throughout the US and around the world as well as their bus trips to the casinos. Nana is loved by so many and is dearly missed. We all miss her cakes and cookies, jams and jellies. She enjoyed having the family over for BBQ’s, birthdays, holidays and just hanging out. Maria is preceded in death by her parents, Jose Perez and Dolores Quinata Guerrero, sister Marguerite Guerrero, former husband James E. Oglesby, son in law Marty Studebaker and husband Gilbert V. Anderson. She is survived by her son James M. (Edith) Oglesby and his children John, Matthew and Alan (Dana) Oglesby; daughter Theresa M. Studebaker and her daughters Lisa (John) Sloan, Chrissy (Mike) Eaton and Raven (Brent) Tarantino; and daughter Delores ‘Jeanne’ (John) Remmert and her children Kristina, John Jr and Anthony Remmert. She also leaves behind with great memories her sister Olympia Breeden, 14 Great-Grandchildren and numerous nieces, nephews and cousins. Graveside services will be held at 11am on Friday September 7, 2018 at Tulocay Cemetery.